IMPORTANT UPDATE: We’re adjusting pricing – Effective June 3, 2019. Agent Evolution, an IDX Broker company, will adjust subscription pricing (on June 3, 2019) to match our current retail rates and to more accurately reflect the value our clients receive from our products and services. 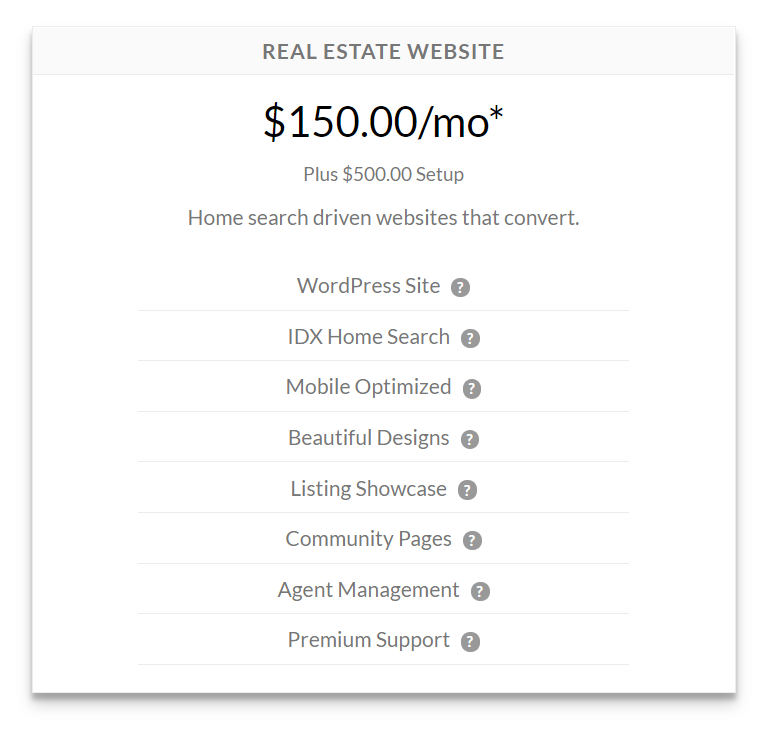 We have proudly served the real estate industry for the last decade, and this is the first-ever increase for our fully-hosted and supported TurnKey website product. The decision to raise pricing going forward is not one we take lightly. But, we are confident in the value we’ve added into the product over the years, and we are committed to our mission of delivering an outstanding and delightful user experience for you and your visitors. New pricing, effective for current clients starting June 3, 2019. Introducing HOME, an IDX Broker WordPress product! IDX Broker HOME™ is the next step in that evolution. HOME allows us to marry the best of TurnKey and IDX Broker. It gives us the opportunity to cover your bases – WordPress, IDX Broker MLS search, hosting and lead generation – all in one place. What’s even better? HOME subscribers also have access to a full Support Team. These IDXperts will make sure the time and energy put into your site pays off in the form of growth and lead generation! While migrating to the new HOME platform is not required, it may be the perfect time to see what all the buzz is about! For those of you wishing to start Q2 with a fresh look, we have good news! We’re also extending FREE theme swaps for all current TurnKey subscribers and waiving any HOME-related setup fees – a $599 value! If you have any questions or concerns about the adjustment, how to migrate to IDX Broker HOME, or how to best maximize the value from your subscription and accelerate your growth through 2019, please contact us. Your success is our success! Thank you for being a part of the IDX Broker community.